1/12 ecu of Louis XIII of France. Deliberately pierced twice. 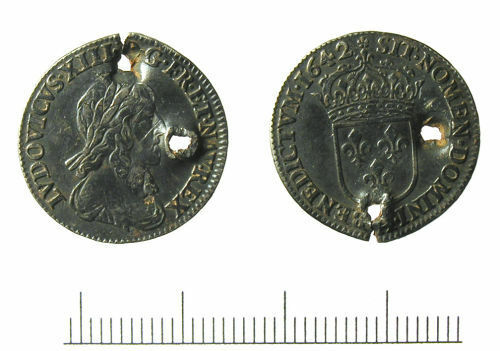 Post medieval silver Ecu of Louis XIII of France, 1643 AD. Double Tournai of Louis XIII of France. Tournois of Louis XIII of France.